You can incorporate a wired contact sensor with a wireless alarm system using one of three methods. The first is to wire it to a hardwired input on the panel. The second is to use a wireless transmitter. The third, and most common method, is to use a compatible wired to wireless converter. 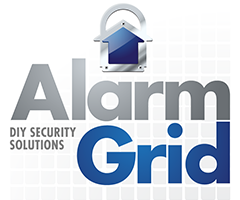 Many wireless alarm systems have hardwired inputs on their circuit boards that allow normally closed hardwired sensors to be used with the system. Since hardwired alarm contacts are usually normally closed, they can be used in this manner. The wired contact will connect with one of these zones, and it will be set up with one of the designated wired zones on the system. However, not every wireless alarm system has one of these inputs, and the ones that do usually only have one or two of these inputs. As a result, only a very limited number of wired contacts can be used in this way. Another option is to connect the wired contact to a wireless transmitter. The wireless transmitter will send a wireless communication signal on the behalf of the wired sensor. The wired contact will be seen as a wireless sensor by the system, and it will be programmed with a wireless zone. Many wireless transmitters also perform additional functions, such as the Honeywell 5819WHS, which doubles as a shock processor. The downside to a transmitter is that it will usually not allow resistors to be used. Also, these devices usually only provide support for a relatively small number of hardwired contacts, often between one and three. The best option for adding multiple hardwired contacts to a wireless alarm system is to use a compatible wired to wireless converter. The contacts will wire-in directly with the converter, and the device will send a wireless signal to the panel on their behalf. This is very similar to using a wireless transmitter, but there are a few distinctions. A wired to wireless converter will usually support a greater number of wired sensors, and resistors can be used. It is important to remember though that only hardwired burglary devices can be used with a wired to wireless converter. Fire and Carbon Monoxide devices are not supported. Each wired sensor that is used with a wired to wireless converter will need to have its own wireless zone on the security system. The converter that is used will need to communicate at a wireless frequency that is compatible with the wireless system. Two popular wired to wireless converters are the Honeywell 5800C2W and the Qolsys IQ Hardwire 16-S.